Jenny began making soap in 1994. During her life she experienced numerous allergies and very dry skin; on the other hand, her new husband Darrin suffered from oily skin and chronic acne. Both were quite surprised when all of their skin maladies improved remarkably just by switching to handmade soaps. Soon friends and relatives were asking to try the soap for themselves, and all were pleased with the results. The soaps we offer are truly handmade soaps with Jenny's own recipes that blend oils such as coconut, palm kernel and olive oils. Many soaps advertised now as "handmade" are merely melt and pour bases to which fragrance and color are added. Think of it as "cake mix"--only for soap! What we produce is a gourmet "from scratch" delight! 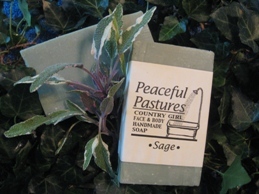 For years Jenny marketed soap under the same name as the farm's organic meat business, Peaceful Pastures, but they have now branched out with their own label and site. 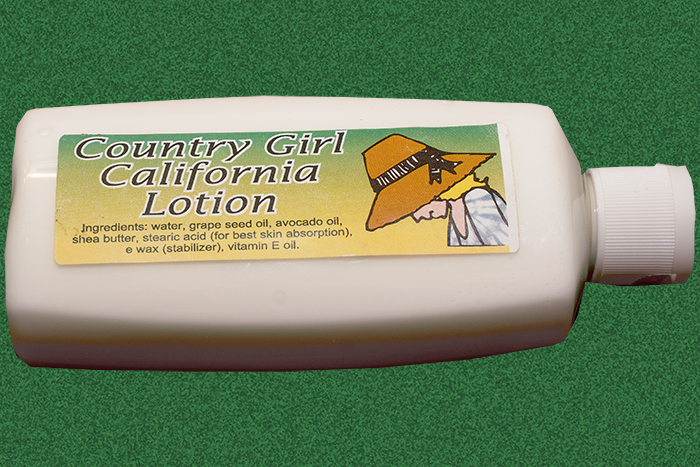 Country Girl products are all made by Jenny in her country kitchen. Jenny makes each small batch by hand to assure quality, purity and consistency. EVERY product is cruelty free, Earth Friendly and never, ever tested on animals. 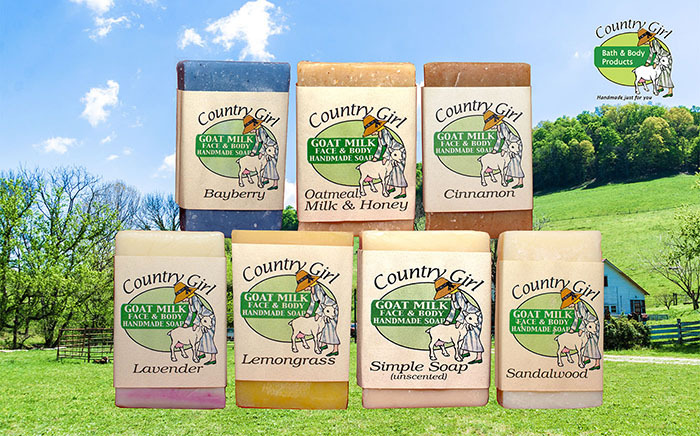 You will notice many differences between our products and "store bought"; ALL of our soaps will get you squeaky clean, yet are much milder than anything you are currently using. The reason is this: what you buy in the store, with rare exception, is not truly soap, but instead is a more harsh (and less expensive to produce) detergent. Look at the labels sometime! They will say "cleansing bar," "beauty bar," "deodorant bar," but they do not say "soap!" And all detergents are made with petroleum based oils. NONE of our products contain any petroleum products (such as mineral oil). Our soaps will last much longer than "store bought" as they do not have air whipped into them to increase the volume of the bar. Since every bar is cut by hand there may be variations in size and shape, but this uniqueness contributes to the character of handmade soap! 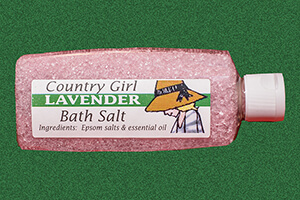 In addition to soaps we also offer Bath Salts and Bath Oils (upon request) scented with essential oils. All are custom made by us in very small quantities to assure freshness and quality.